Kandice helped me insured my car when I first purchased it. She walked me through all of the procedures and guaranteed that my insurance plan was what I was looking for. Not only did she fit my needs to the plan but most importantly my budget. Lastly she reassured me that Bill Brian Insurance Agency was an insurance I could trust. After I met Kandice Yanez I was so impressed that I transferred all my insurance to her and also recommended her to friends. I am always very impressed with my agent Sonia, she is absolutely the best. Sonia always takes the time to hear my needs and finds a solution. Sonia is the best, thank you for always doing a great job. Sonia is my agent and she is great at explaining insurance and listening to my needs and those of her other clients I always refer clients to her. 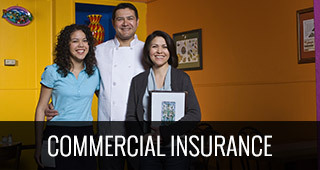 I have my beauty salon insured with Sonia Alvarado from Bill Brian and she is knowledgeable in insurance. She is great. Sonia Alvarado in the office in India is a great agent she is really helpful she's all ways answers all my questions call and helps with my insurance needs I will recommend Bill Brian Insurance to my friends. Excellent service! 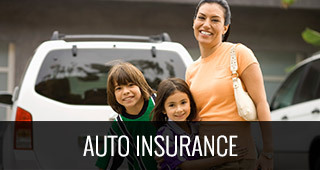 Sonia has helped a lot finding me the most economical policy, insuring me and my sons after leaving Allstate. Keep up the good work! Sonia is the BEST. She already knows my voice! Shes very attentive, professional, and knowledgeable. SHE ROCKS!!!!!! Sonia has and is always helped me with timely and professional service. She always returns my calls when dealing with mine and my 3 adult children's insurance issues. I feel confidant that she will give us the best rate and service available. I worked at Bill Brian Insurance for 26 years and we always strived to give the clients the best possible service. I am now retired and they are still giving me great service. After moving Sonia searched all their companies and found me a great company. Sonia is a very knowledgeable Person . She takes care of our problems in a very quick manner . Great Job Guys ! Sonia is always very helpful, very promptly , and gets answers to questions right away. Bill Brian Insurance Agency staff (Sonia)provides exemplary customer service to all of its clients. The staff is very friendly, professional and courteous. I strongly recommend Bill Brian Insurance Agency for all your insurance needs. Sonia Alvarado is a great agent. She always explains my coverage all the time. She is a great and helpful agent. Sonia is an excellent agent she explains my coverage in detail. Thank you for all your help. Been looking for Homeowners insurance for a while Kandice Yanez got me the best rate. She has really good customer service explains everything in detail Thank you Kandice . Love this place and the girls there are always happy and have great attitudes won't go anywhere else. 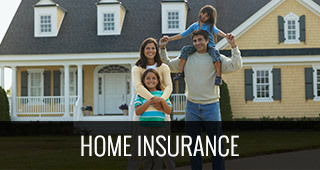 I have auto and renters insurance through Bill Brian insurance and have always been very well taken care of. Sonia has always been very patient and helpful with my insurance needs. Five stars indeed! Kandice Yanez was amazing and very helpful! I've been going to Bill Brian Insurance Agency for the past two years & I have dealt with a few of the staff they are all very nice & easy to work with but the person I deal with the most would be Kandice Yanez. She is always so patient , nice & answers any questions that I have had also explaining everything as thorough as possible. Never had any trouble with a wait usually always very quick & there hours of operation are great, I would definitely recommend this insurance agency to any one looking for a new insurance agency to deal with. Thank you to everyone at Bill Brian. Overall, it's been a pleasure working with Bill Brain specially working with Sonia Alvarado. Sonia has been there for my every need, dealing with my car and Home owner insurance. It's been a great experience so far and I don't plan to change at all and will continue to work with Bill Brain because of their GREAT customer service!! Sonia alvarado has been very helpful each and overtime I have called her for information on my insurance needs. Best insurance agent we have ever had. My husband and I have been doing business with Sonia Alvarado for years now I like the fact that she is honest and is always willing to help and get us the best deal. For Sonia Alvarado, has been a great help to me and my family . Always very attentive , with great detail when she explains your coverage .Sonia is a great asset to your company. Keep up the good work. THIS IS IN REGARDS TO MY INSURANCE AGENT, SONIA ALVARADO. SHE ALWAYS MAKES THINGS HAPPEN IN A TIMELY MATTER, SHE IS ALWAYS EXTREMELY BUSY BUT MAKES TIME FOR EVERYONE!! ALWAYS HAS A SMILE ON HER FACE! VERY POLITE & PATIENT. Bill Brian Insurance Agency received a rating of 5.0 out of 5 based on 28 reviews on IWantInsurance.com.